Part 2 of my recap discusses some great food finds during Paleo F(x). If you missed Part 1 of my recap, you can read about it here. Paleo F(x) 2014 wasn’t only about presentations and panel discussions. 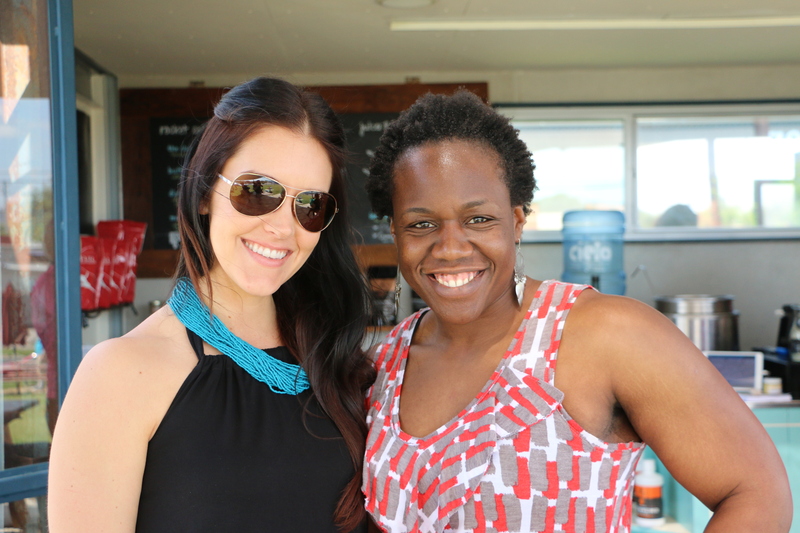 Attending Paleo F(x) gave me a chance to sample many grain-free, gluten-free and Paleo friendly food options. 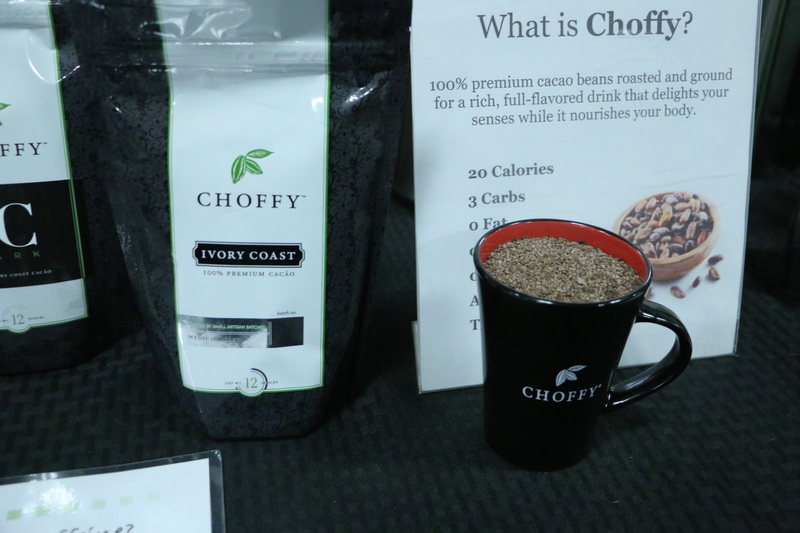 Choffy is made out of roasted cacao beans, which are then ground up and brewed to make a chocolate drink. Choffy has roasts that are made from cacao beans from all over the world, including Ghana, the Ivory Cost, and the Dominican Republic. The chocolate drink can be made using a french press or coffee brewer. 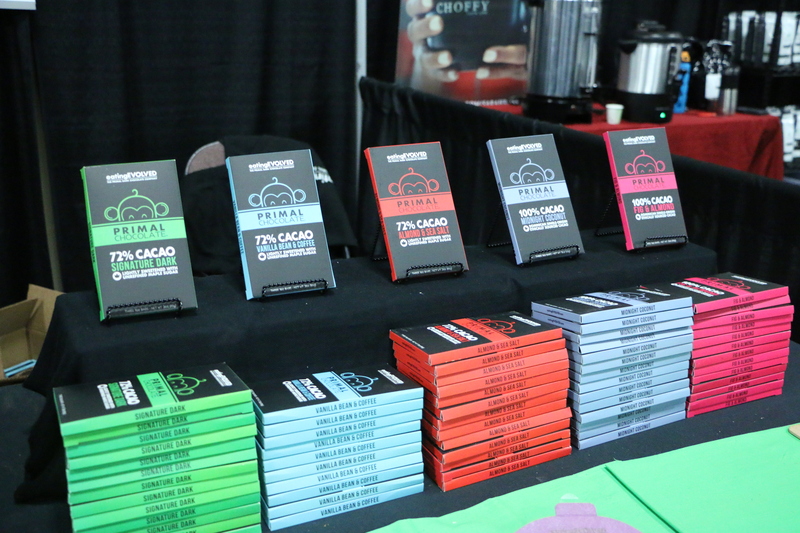 The owners of Choffy were there the entire weekend to hand out samples, and I purchased a bag of Ivory Coast Choffy to take home after sampling and enjoying the flavor profile of this lighter roast. 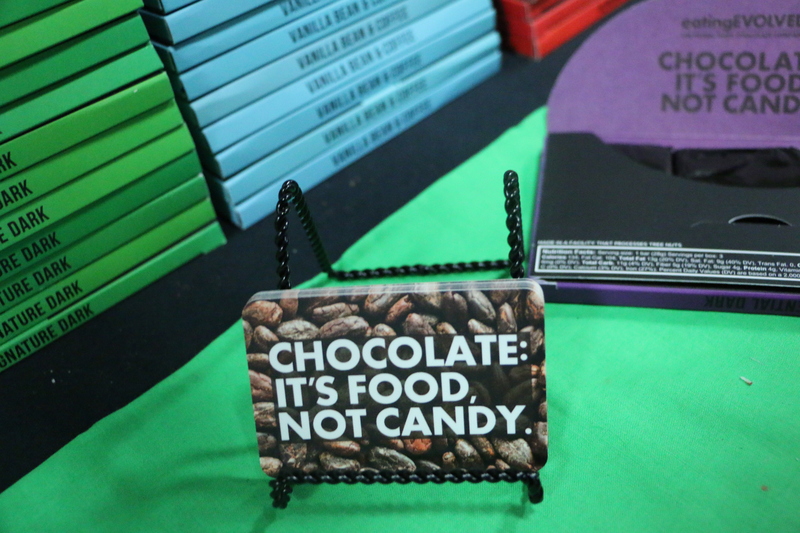 Eating Evolved makes chocolate bars with minimal real food ingredients (gluten free, soy free, dairy free chocolate bars made with fair trade cacao and none GMO ingredients) that are delicious, and left me coming back for more samples each day. 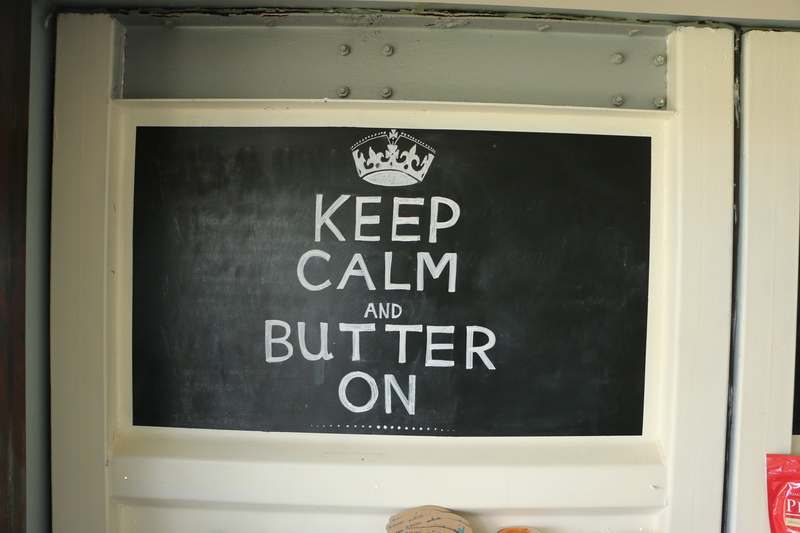 The company’s motto is, “It’s food, not candy.” I can get behind that! I tried the 72% dark chocolate bar with sea salt and almonds. The sea salt added an additional depth of flavor I really enjoyed. When I came back to purchase some sea salt and almond bars to take back home with me, they only had one bar left. I ended up buying that bar, as well as two of the 85% dark chocolate bars to enjoy. These crackers were legit, and very flavorful. They are made out of almond flour, organic sesame seeds, organic flax seeds, organic chia seeds, organic tapioca flour, apple cider vinegar and seasonings. They come in three different flavors – Mediterranean, Sea Salt and Cracked Pepper, and Tuscan. I ended up purchasing a package of the sea salt and cracked pepper crackers. For those of you not familiar with this drink, Kombucha is a drink typically made from sweetened tea that has been fermented, and has been shown to have a variety of health benefits (Click here for more information on the health benefits of Kombucha). Despite the drink’s health benefits, I have not fully embraced this drink into my everyday lifestyle for several reasons. First, Kombucha is pretty pricey, selling anywhere from $3 to $4 dollars per bottle. Second, Kombucha has a very distinct taste, and until that weekend I had not tried a brand of Kombuch that I enjoyed. 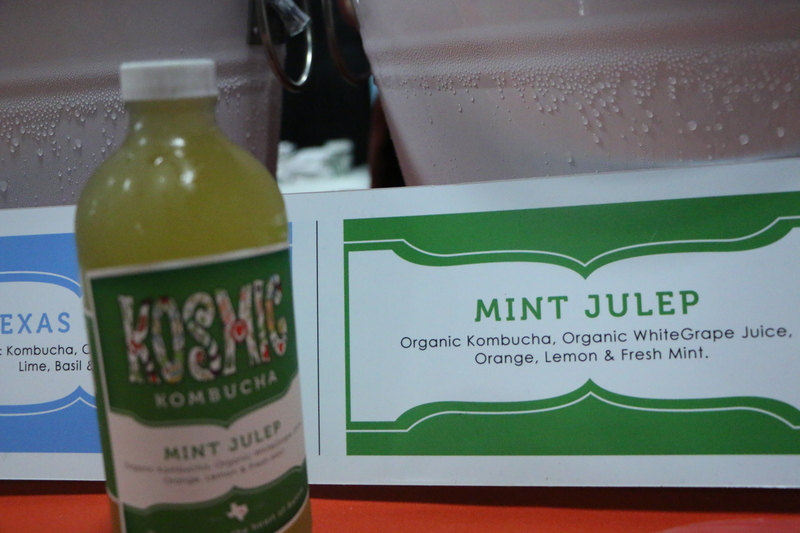 During the conference, I sampled several flavors offered by Kosmic Kombuch, and ended up really enjoying the Mint Julep flavor. It was so good in fact, that I stocked up on several bottles to take back home with me. I’ve tried many different store bought gluten-free/grain-free breads, and tried my hand at making several different sandwich bread recipes. Some recipes are better than others, but I have only sampled one or two recipes that really stand out in my mind as being good, at least until Paleo F(x). Initially, I had only casually strolled by the Base Culture booth with no intentions of stopping. However, I decided to picked up piece of bread to sample as I was walking past. I didn’t have high expectations when I popped it into my mouth, but after i actually tasted the texture and flavor and realized how good it was, I slowed down and decided to take a better look at the company. I was able to talk with the owner to find out more about the company and its products. 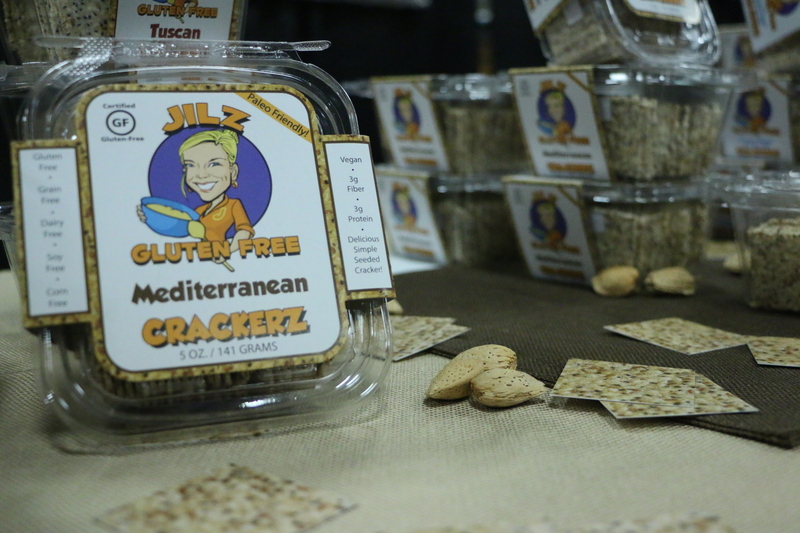 The company is based in Florida, and offers for shipping grain-free and gluten-free products that compliment a Paleo lifestyle. 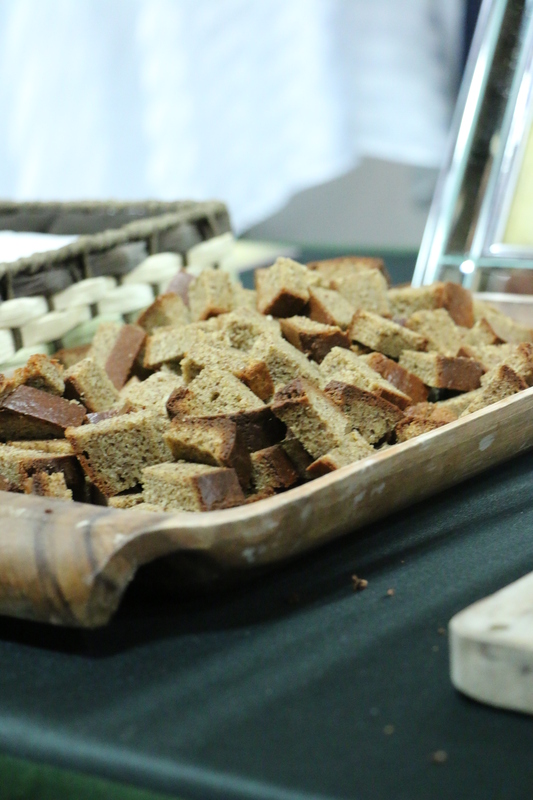 The sandwich bread offered by Base Culture was delicious, and actually tasted like a (somewhat denser) version of sandwich bread. 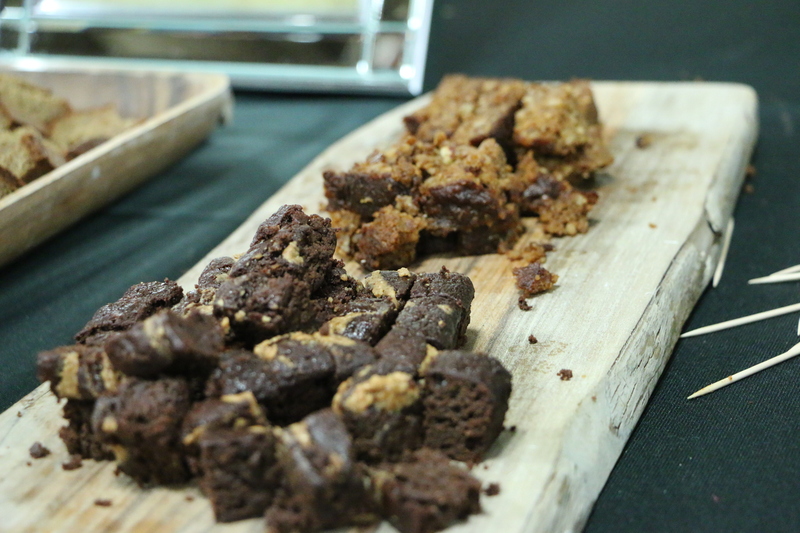 Even more amazing were the almond butter brownies (pictured in the front board shown below). 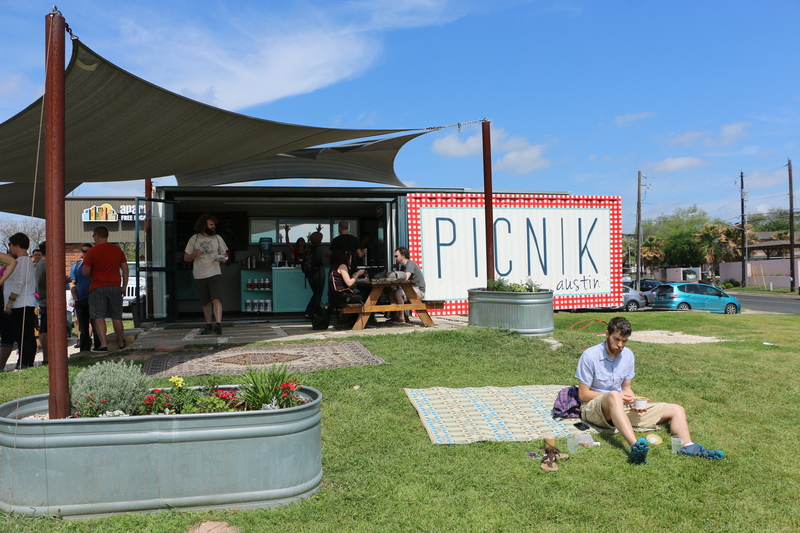 I knew I couldn’t go to Austin during Paleo F(x) without a trip to Picnik, a coffee shop/restaurant that offers Paleo/Primal/Grain-Free/Gluten-free food and drink options. I swung by there during a lunch break, and was so glad I did. I got to meet popular blogger Liz Wolfe from Real Food Liz, who was only going to be at Paleo F(x) for one day due to a scheduling conflict. She was just as funny, witty and kind in person as she is on the weekly Balanced Bites podcast she co-hosts with Diane Sanfilippo. She was also gracious enough to pose for a picture. I wasn’t very hungry, so I decided to go with a chai tea latte made with butter, MCT oil, and grass fed whey-protein. There is so much more about Paleo F(x) that I want to share with you guys. In the final installment of my recap (I know it’s a lot, but I couldn’t fit it all in two posts), I’ll share my experience meeting some of my favorite bloggers during the conference. Have any of you tried out the products I mentioned in this post? If so, I’d love to read about your experiences trying them out in the comments section. 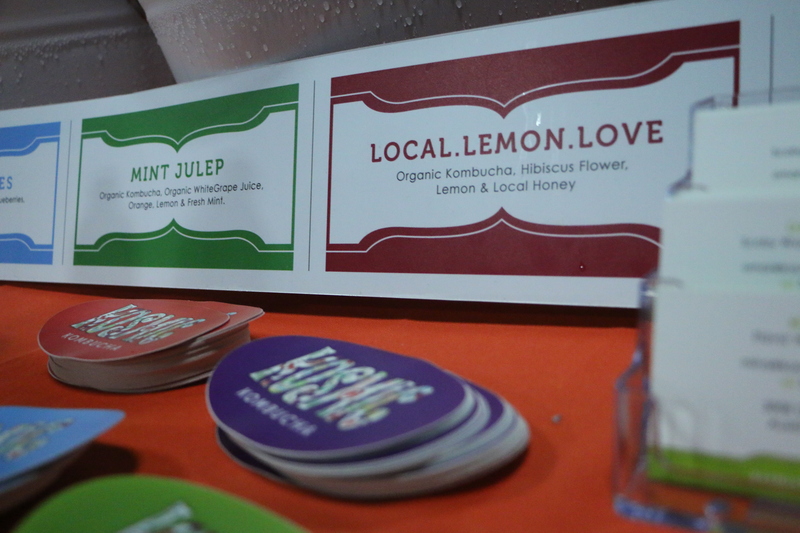 Tags: Choffy, Eating Evolved, Gluten-Free, Kosmic Kombucha, paleo, Primal | Permalink.